In 1991, Japanese football was at its lowest point. Their top flight was played by amateurs and the football association knew something needed to be done. The birth of the J League soon followed. Japan now had its own professional football league that one day would become the best in Asia. The dream was to have a successful, sustainable league, one to be proud of – to have a hundred professional clubs, and lastly, to win the World Cup by 2092. It’s all part of a 100-year vision. So, over almost three on, is Japan on schedule to match their ambition? One positive sign is that the growth of the sport across the nation has seen interest in their two most popular sports, sumo wrestling and baseball, dwindle. Before the football boom across Japan, the amateur league – the Japanese Soccer League – had only been around for 30 years, until it was replaced by its successor. Although the league reached its peak around the time Japan won bronze in the sport at the 1968 Olympics, the nation’s interest faded and attendances were on a downward slope. It was hardly surprising; it was amateur, after all. Prior to the all-new league’s inception, Japan were languishing below 40th in the FIFA world rankings and the crowds attending domestic matches were equally as poor as the stadia on show. But as the Asian economy was throbbing around the start of the J League, ambitious clubs were attracting world-famous – mostly Brazilian – footballers, albeit in the latter stages of their careers, to play for them. They included Zico, Dunga and Gary Lineker. Naturally, with players of this quality stepping onto Far Eastern shores, the standard of football across the league improved. Within three years of the professional league’s first game, Japan rocketed up to 21st in the international rankings and weekly crowds were averaging nearly 20,000. This was all well and good, until an economic crisis hit the Land of the Rising Sun in 1997. Subsequent attendances were around 10,000 and club sponsors were pulling the plug on their investments, leaving numerous top-tier sides flirting with bankruptcy. The warning signs were clear for all to see and the J- League board needed a plan, not only to help in the short term, but to provide a platform to build on for the future. This is where the 100-year plan unfolded, with the aim of marking the J League’s centenary anniversary with a league system consisting of a hundred professional entrants. The board wanted clubs to be prepared for another economic disaster, encouraging them to delve into the community around them and form partnerships with local, smaller companies, as well as grassroots academies. This would promote the sport to youngsters and encourage participation, as well as a boost to attendances. They felt this was a solid model to build upon and followed it up by implementing the two-tier league format, which would grow as the nation nears its ambitious objective. At the time, the top tier consisted of 16 clubs and the second had 10; now, the J1 League has 18 clubs and the J2 League has 22, an improvement of 14. It’s measurab;e progress. Participation in the Asian Champions League has seen the J1 League’s top teams compete with the rest of the continent’s elite clubs, and the national team is excelling, reaching highs of nine in the rankings in 1998. Since the birth and growth of the J1 League, Japan’s national team has improved and are shining in Russia. But breezing through previous World Cup qualifications was no fluke, especially considering the Asian qualifiers are some of the most closely-contested and improving on the planet. They have played at every World Cup since 1998 and their role in the Confederations Cup fixture in 2013 against Italy impressed football fans across the globe. Under the stewardship of experienced Italian manager Alberto Zaccheroni, Japan showed tremendous spirit to battle Italy for the full 90 minutes, losing 4-3 in arguably the game of the tournament. The Blue Samurai played attacking, possession-based football that made for great watching, with both teams playing a high tempo for the whole match. The key to Japan’s development, as the game highlighted, is the fact they are now producing stars. From their 2018 World Cup squad, 14 of the 23 play outside of Asia, mainly within top European leagues – the exception being Keisuke Honda at Pachuca in Liga MX. A sizeable numbers of Japanese players play in the Bundesliga, one of the world’s best and most-watched. Promisingly, the number is rising each year. Shinji Kagawa is currently the nation’s biggest star alongside Honda and Shinji Okazaki. Indeed of the 167 goals the combined squad in Russia have scored during their international careers, the aforementioned trio have bagged 118 of them. Kagawa’s rise from the humble surroundings of Higashisumiyoshi-ku to Europe has been meteoric. 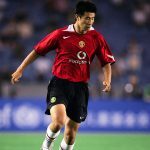 His development went hand in hand with Japanese football’s growth and a mere £300,000 move to Borussia Dortmund in Germany was his stepping-stone to playing for England’s most successful club. A huge part of his development owes much credit to Dortmund, but his skills were seen by the German club, who merely nurtured talent that was already there, a testament to the Asian nation’s superb coaching of young children across the nation. He’s a smart playmaker who provides the link between the midfield and attack with sublime touches and a range of passing. Though his stint with Manchester United was disappointing, with opportunities limited, many fans pined for his inclusion on a regular basis. Kagawa’s national teammate Honda, also a midfield dynamo, is currently taking Liga MX by storm at one of their most historic clubs, Pachuca. He, like Kagawa, has an eye for goal and a great passing range in his locker. His set-pieces are vital for club and country. Raised around the Japanese football boom, Honda broke into his local professional team Nagoya Grampus when he was still at school. 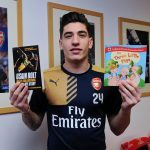 He established himself in the first team before leaving for a two-year stint in Dutch football with VVV-Venlo, then earning a move to Russia. He moved to the Rossoneri in 2014 with a raft of Champions League clubs keen to sign him, and though his stint in calcio wasn’t as successful as many predicted, he has rediscovered his best form in one of the world’s most underrated leagues. Before the Japanese FA recruited Zaccheroni to coach the national team, Honda spoke of the importance of hiring a foreign manager, to bring new ideas and styles to the country and it has certainly done that. 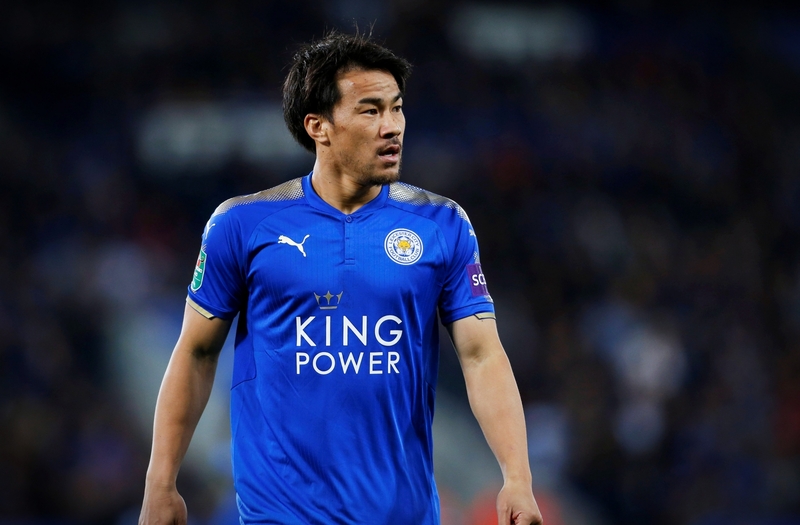 At 32, time is running out for the highly regarded midfielder to taste success with the Blue Samurai again – with a solitary Asian Cup trimph in 2011 his only silverware – but his experience could go further than his playing career. Considering he has played most of his club football outside of Japan, his international experience provides a sound knowledge of the game. Not only will Honda’s experience count for something, so will that of former footballer and national treasure Hidetoshi Nakata. He was one of the first, and most successful, Japanese footballers to make an impact in European football. 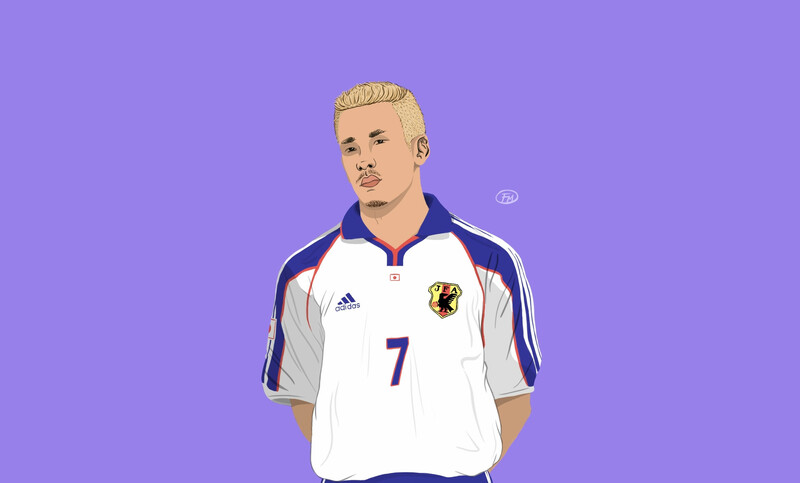 He left Japan for Serie A in 1998 to play for Perugia, switched to Italian giants Roma – where he won the Scudetto – before ending his Italian odyssey with spells at Parma, Bologna and Fiorentina. That he was in the running for the Ballon d’Or three times around the turn of the century is no mean feat and to be nominated as FIFA’s World Player of the Year shows what kind of impact Nakata had on world and European football. He was also named in FIFA’s 100 greatest players in history in 2004, chosen by Pelé. Labelled as Japan’s David Beckham, Nakata’s career has had a strong impact within his homeland. His success in Europe has no doubt played a part in the large swathe of Japanese footballers currently excelling in the Old Continent. More than that, however, he helped ignite an interested in the Blue Samurai that remains strong to this day. Now that the model is in place, the standard of football is also improving off the pitch. Stadia across the league boast better facilities, with greater investment in the two decades helping, and the 2002 World Cup playing a part. Some are brand new, some redeveloped, but the standard has been set for the national game with numerous grounds holding more than 40,000 spectators. Coupled with their month in the limelight in 2002, Japanese football has long since been on the map. The question now is: how far can they go? Whether the nation can win a World Cup by 2092 remains to be seen, but they look on course to complete the task of being home to 100 professional clubs. Success doesn’t come overnight and the Japanese FA understands that, which is why they set such a lengthy vision. 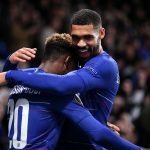 The national game is slowly improving – in quality and popularity – and the recent addition of Andres Iniesta could see the same spike in interest as the days of Zico and Lineker. Factor in the number of Japanese players below the age of 18 moving to Europe, to some of the finest academies, and there’s reason to be optimistic that the future is bright. 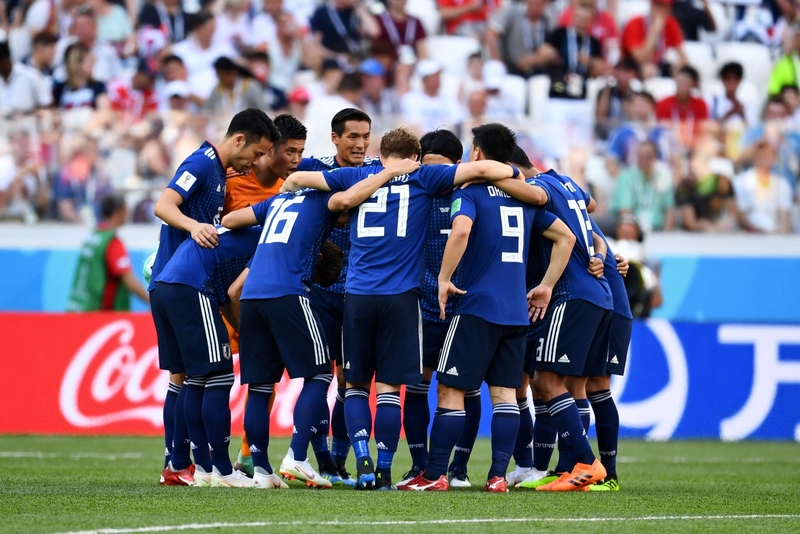 It takes patience, technique and the right way of nurturing, and that is the path Japan seems to be following as part of their vision to provide the national game with a successful, sustainable footballing pyramid. Japan: World Cup winners. When? Who knows, but you heard it here first.